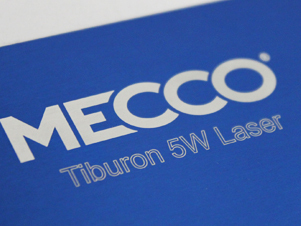 When your application demands razor-sharp marking with minimal surface disruption, MECCO’s innovative Tiburon Laser Marking System is the answer. 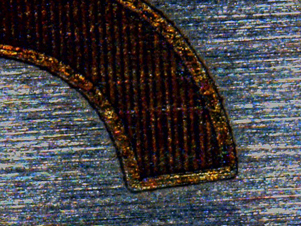 Tiburon’s ultra-short pulses deliver three times the peak power of conventional fiber lasers. Metal surfaces vaporize more quickly and plastics absorb energy more easily, creating brighter marks with almost zero debris. Higher peak energy removes paint, anodization, and oxide 25 to 50 percent faster while brightening the base material significantly. 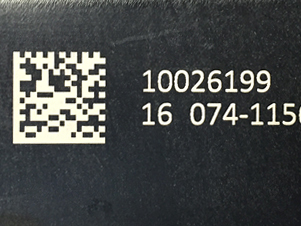 Result: Higher-contrast marks; barcodes that scanners read more easily; and improved traceability throughout your process. Tiburon marks are smooth to the touch. Edges stay crisp, without debris or discoloration that compromise functionality or appearance with conventional systems. 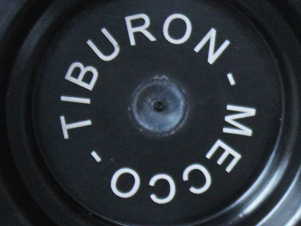 Tiburon is ideal for traceability and branding applications where mark quality and contrast are critical for success. 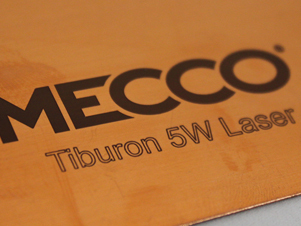 MECCO is known for the high quality of the marks we produce, and these samples from SMARTmark® Tiburon Lasers showcase some of the common applications that highlight its capabilities. 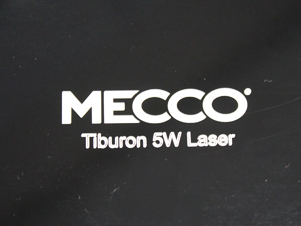 Tiburon lasers can be used for traceability and branding marks on plastics and anodized aluminum. Watch videos of the Tiburon marking. 17.5" x 6.595" x 6.438"
19.486" x 5.250" x 17.275"
SMARTmark® Laser Marking Systems are configurable to your part and process automation requirements. We can design and manufacture an enclosure to meet your needs in part handling, vision, software and database integration.